and Marriage and Family Therapist for over 25 years, Terri Asanovich, LMFT has built a distinguished career from her passion for helping individuals, families and communities in crisis. A psychotherapist in general practice, she sees clients from age 4+ to adults. Sensitive to issues of religion, ethnicity and cultural adjustment, she has worked with a broad spectrum of Los Angeles residents, from recent immigrants to celebrities. Terri Asanovich is a Distinguished Clinical Member of the California Association of Marriage and Family Therapists, an award bestowed for outstanding service and her notable advancement of the field. She has been a child custody consultant for the courts and legal firms in Los Angeles for over 15 years. 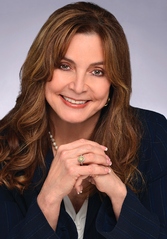 She’s a member of the Bar Associations of Beverly Hills, San Fernando Valley and Ventura County. Terri is a media consultant and serves as a consumer advocate for the profession of psychotherapy. Her community service has helped to establish guidelines for national standards of consistency, excellence and consumer protection. She has served in Los Angeles as a member of the California State Senate Child Custody Task Force, and Vice-Chairperson and Children’s Advocate for the Los Angeles County Mental Health Commission, among others. Terri has appeared on ABC’s 20/20, and been heard on KCSN Radio. Positive, warm and professional, Terri is a psychotherapist who believes that issues are solvable, and brings tremendous skill and experience to the transformation of a client’s personal and interpersonal challenges.